Don’t let a lack of floorspace prevent you from cooling and chilling your products, consider a commercial countertop refrigerator as a useful alternative solution. Here at Enviro Chill, we know how critical it can be for your business to maximise space, and a countertop fridge is an ideal answer for many different types of businesses. 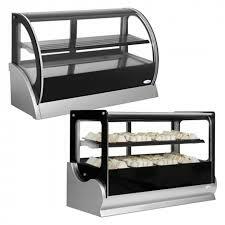 Whether you run a pub, own a takeaway or café, you need to utilise all the space you have available. A counter refrigerator helps you to achieve this, and we supply and install the very latest high specification equipment to help run your business. Based in Liverpool, we service customers throughout the UK with quality countertop refrigerators made by leading manufacturers. All of our counter fridges are carefully selected for their premium performance levels and offer excellent energy efficiency, so you can run your business effectively whilst saving money at the same time. 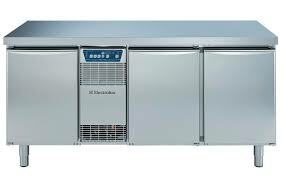 Enviro Chill supplies clever but compact counter fridges to free up space within your business. We understand it’s not easy when you have a restaurant to run and need to keep under the counter areas clear and clutter-free. This is why our commercial countertop refrigeration units are designed to be as petite as possible, and still have all the purpose of a fully-functioning fridge. We have many options available including units with glass doors and solid doors in different sizes, with commercial fridges to meet any need in any catering or hospitality environment. Ideal for a front-of-house solution, a handy countertop fridge gives you instant access to chilled goods, without any unnecessary bending. Not only will we supply you with a high-quality counter fridge here at Enviro Chill, our expert engineers will also install it for you to the highest possible standards, and make sure you are completely happy with the end results. Our commitment to customer care means we strive as hard as possible to give our clients total satisfaction, no matter what type of refrigerator we supply. With many years of experience to offer you, we guarantee to offer you the highest standards of workmanship at all times. As well as the supply and installation of countertop refrigerators, we can also offer exceptional maintenance contracts to keep your fridge working perfectly with the greatest efficiency, so you have nothing to worry about. For more information, and to see how our team here at Enviro Chill can supply and install a fridge that’s perfect for your countertop, please get in touch with us online today or call us on 0151 2851818.